Can you remember the 5 phases you can use to reveal your employees’ hidden talents? You know what they say: perspective is everything. Decide today to position yourself differently so that you can see – really see – your employees. Here are 5 phases you can use to reveal your employees’ hidden talents. Give incremental increases in responsibility to the people on your team to see how they react to the challenge. Ask them what they might like to get involved with and create a plan together to expand their opportunities. Remember that everyone needs help and support. Use one-on-one meetings to discuss the action items that will improve performance. Your role is to teach, redirect, and cheer from the sidelines. Ensure that each person on your team feels as though they matter to you, and that their contributions are valuable to you personally, to the team as a whole, and to the organization. Do this both formally and informally. Phase #5: Cut them loose! Let your team take on more responsibilities as their skill sets evolve. Remember that as their coach, it is never your job to micromanage. Enable your employees to take the lead as they grow professionally. 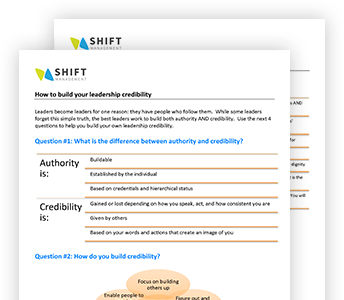 The “Big 8” – How are your leadership skills coming along?